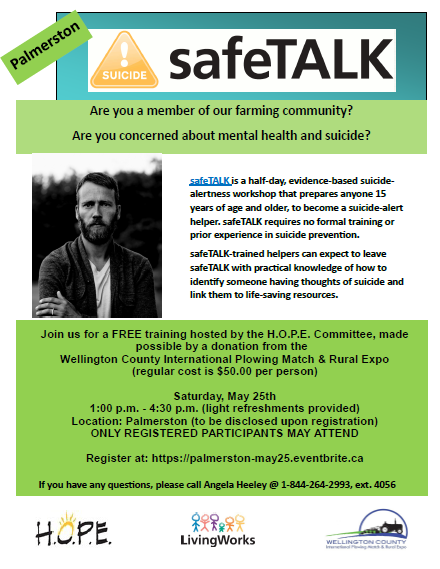 Provided by the HOPE Committee for FREE through a donation from Wellington County IPM 2016.
workshop that prepares anyone 15 years of age and older, to become a suicide-alert helper. safeTALK requires no formal training or prior experience in suicide prevention. safeTALK-trained helpers can expect to leave safeTALK with practical knowledge of how to identify someone having thoughts of suicide and link them to life-saving resources.